hCG Pharmacy 101 - How hCG Injections Are Made - At the Actual Pharmacy - Oh Yes I DID Go There. hCG Pharmacy 101 – How hCG Injections Are Made – At the Actual Pharmacy – Oh Yes I DID Go There. All information here has been provided with permission of Nu Image Medical, the company represented here. Within your prescription hCG purchasing options, if you choose to go with Nu Image Medical, you get a $50 discount through me for their hCG programs. Check out pricing and the hCGChica discount here. My hCG Pharmacy 101 blog posts are all about my visit to a pharmacy that prepares hCG injections and the stringent processes they use. I have gathered so much information and I am really excited to share it with all of you in this blog post collection. Before going into the details of some of the measures and steps taken during the hCG production process, you may want to check out my pharmacy tour where you can watch and read the recap of my trip to one of Nu Image Medical’s drug outsourcing facilities. This just might be the very first time that an everyday person has gotten to tour a pharmacy like this and I was very fortunate to have been given the go-ahead to take a video of my visit. I was really grateful to Nu Image Medical for the rare and awesome opportunity and you’ll see how much fun I had while gathering all these valuable hCG info I can’t wait to share with you in detail in each Pharmacy 101 blog post. You will get to hear, from the Pharmacist himself, what the current laws for making hCG Injections are, how the potency of your vial is ensured under U.S. laws, and why hCG being SAFE and STERILE is so much more important when injecting it than simply popping a pill. 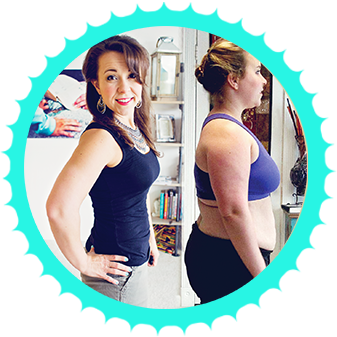 Below, you will find the links to these hCG Pharmacy 101 posts so you can find out more about the very strict processes that go into making real, potent, and safe hCG injections!